How Bodhidharma and Buddhism disappeared from Tamil Nadu? Home » 7am Arivu | Murugados | Suriya | Udayanidhi Stalin » How Bodhidharma and Buddhism disappeared from Tamil Nadu? 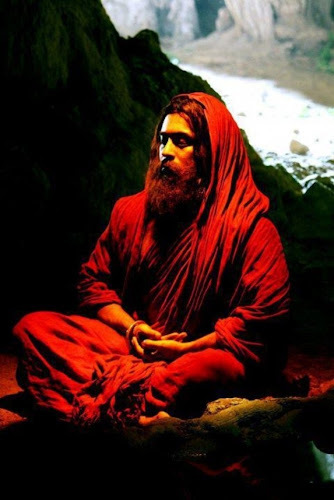 The Tamil film 7 am arivu has evoked much interest about Bodhidharma. The story of the film revolves around this Buddhist monk who preached Buddhism, martial arts and medicine in China. Bodhidharma was a Tamil prince born in Kancheepuram the Pallava capital in 440 AD. After learning Buddhism he travelled to China to spread the true Buddhist way of life. Buddhism ,a school of thought in philosophy, a religion was born in north India but evolved and spread to Tamil Nadu and from there it crossed the seas to Sri Lanka and Indonesia. In the 5th and 6th centuries Buddhism thrived in Tamil Nadu. When Bodhidharma landed in China as a Buddhist monk he was invited with honour to the court of Emperor Wu of the Liang dynasty. The dialogue of Philosophy was a practice of many Tamil kings on those days. We have history of Tamil Kings getting converted to another faith after a convincing conversation with the god men. It happened in China too. Bodhidharma too is known to have a philosophical conversation with Emperor Wu. Later on Bodhidharma stayed in China and he is considered a philosopher of Zen Buddhism and an expert who framed the rules for the physical training of monks which transformed in to martial arts in China. The question is why he is unknown in his place of birth? If he had been born and brought up in Tamil Nadu and was practicing Buddhism here what happened to the ancient Buddhist religious establishments in Kancheepuram? Why there is no Buddhist temple or monastery in Kancheepuram? We have to look back in History. The Buddhism disappeared from Kancheepuram to gave way to indigenous religious practices interwoven with vedic religions. In fact many practices, customs and stories believed now in Hinduism are adopted from Buddhism. We come to know about this from the book Bouthamum Thamizhum by the research scholar Mylai Seeni Venkatasamy. ( MSV) (1900 to 1980). The book reveals some startling details. We share what we learn and the facts inferred from this book briefly. 1.Hindu religion accepted Budhdha as one avatar of Thirumal. 4.The Bodhi tree worship of budhdhism was accepted as it was popular among people. 7.The Budhdist Jataka tales were also accepted. 1.Originally there was Tamil religion in Tamil nadu, where Maayon, Seyon, Vendhan, Varunan were worshipped (refer Tholkappiam period dated BC.) The absence of other ( later additions) gods of Hinduism in Tholkappiam shows the practice of Tamil Religion in pre Aryan age. In Tholkappiam age and Sangam age, the arrival of Aryans and their rituals can be spotted not on a mass following of a vedic religion but as arrival of un organized individual Aryans and their influence on Tamil Society. 2.Budhdhism came to Tamil nadu and Srilanka during the rule of Asoka in BC time. At the same time the other religions of Jainism, Vedic brahminism and Aasivaham came to Tamil Nadu and commenced their philosophic fights and priestly contests and competitions to gain popularity among the rulers and the people and to create assets for their religions. We have references for all these religions in Silappathiharam and Manimehalai which represent a later period than Tholkappiam. 3.Jains replaced the Budhdhists in Tamil Nadu. The Budhdhist temples were converted into Jain temples and the caves, where Budhdhist monks were living, were occupied by Jains. The Jains set a precedent of capturing Budhdhist temples which was followed by Vedic/Hindu priests. While the Saiva and Vaishnava had to fight it out with Jains, as ample evidence is available through Appar, Sambandar…., it seems that it was easy to capture the Budhdhist temples as they were already under ruin for lack of patronage. 5. The Bhakthi Movement washed away, cleared, Jain and Budhdhism from entire India. Further it went on to propagate itself positively in the South East Asian countries. 1. In Kumbakaonam Nageswaran thirumanjana veedhi, there was a budhdha statue called bagavarishi. The Nigandu says that Budhdha was called by the name Vinayaka. In later periods many Buddha temples were converted as Vinayaka temples. 2. The Chinese traveler who visited Kancheepuram in 640 AD, has recorded that Kanchi was having hundred Buddha temples and thousand monks. 3. According to Ananatha nayinar (1932 ), in Kanchi Kacheeswar temple the Budhdha images were found in the foundation base of the gopuram. The lake on the west of the temple was called as Buththeri and the street as Buththeriththeru. But when I visited that temple those stones could not be identified. I could see Buddha images only in the pillars. 4. I visited Pallavapuram near kanchi on 15.7.1946. Nearby in Kinikiluppai, a Buddha Statue was found on the bank of a lake In the same village, I could find the base of the Buddha statue very near the Vinayaka temple. There was also a standing stone with Dharma Chakra. They had constructed Vinayaka temple by demolishing Buddha temple. Mylai Seenivenkatasamy has collected many more information in his book describing evidence of the existence of Buddha temples and the conversion of those temples into Jain or Hindu temples. Therefore it cannot be said that the wisdom of Bodhidharma or Manimehalai are forgotten. They live in some other forms or in some other names. In the early part of the Sixth Century, the head of a certain Buddhist faith in India died and left the Patriarch position to his foremost disciple, a monk named Bodhitara. It was at this time that the now 26th Patriarch of the Dhyana Sect of Buddhism changed his name to Bodhidharma and made a decision that would alter history for millions of people, in many different ways. Even though much has been written of Bodhidharma, this great priest is still thought of as part legend and part myth. This unusual, yet brilliant monk is actually considered the Founder of Shaolin Style Kung-Fu (Chuan-fa). Bodhidharma is also acknowledged as a pioneer in the teachings of Zen Buddhism. Though he is considered a Patron Saint of most martial artistry, Bodhidharma, nevertheless was a very mysterious individual. There is evidence that exists that supports the fact an Indian Monk traveled to China, had an audience with the emperor, and then traveled to a monastery, where he spent long periods of time in meditation. It is generally believed that this person was Bodhidharma. He was known to the Chinese as Ta Mo and later to the Japanese as Dharma Taishi. Bodhidharma is believed to have been born in the city of Kanchipuram, which is located near Madras on the East Coast of India. It was throughout his childhood in this area of India, that Bodhidharma learnt some fighting techniques. The fighting art which was learnt by Bodhidharma was known as southern-style "Kalaripayit". Kalaripayit roughly translates as "Battlefield Training" and still exists today in some parts of India. Once Bodhidharma turned to his religious calling, his use of this art diminished considerably. Bodhidharma devoted himself entirely to the Buddhist Faith and became the Patriarch without any known opposition. Even though at this point in history Buddhism had spread almost entirely throughout India, Bodhidharma's religious zeal forced him to work at spreading the word of Buddha even further. It was after he became Patriarch that Bodhidharma decided to travel China, the most populated and the most civilized nation of its time. With his decision made, Bodhidharma started his slow journey to China, walking the entire distance. For most of the journey he walked alone with only his thoughts to accompany him. Buddhism had entered China several hundred years prior to the arrival of Bodhidharma but it was still struggling to become fully entrenched as an accepted religion. 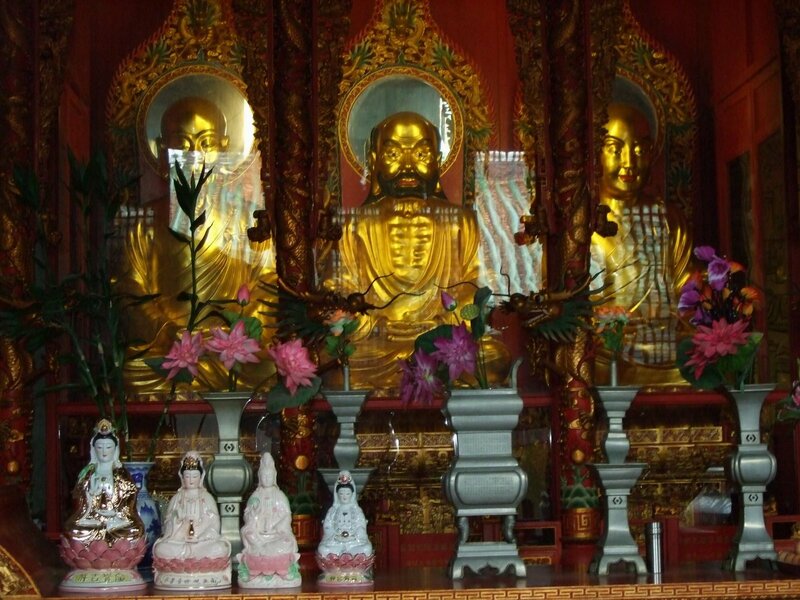 There is record of the existence of Buddhism in China around 65 A.D. Unfortunately as its popularity grew, just like most religions around the world, it had to struggle (and at most time violently) to survive. There are records of several power struggles that ensued over the years between Buddhist communities in China and the older religion of Taoism. When Bodhidharma entered China he traveled to the City of Kuang (Modern Canton) and went directly to the Court of the Emperor. Here Bodhidharma was granted an audience with Emperor Wu Ti, of the Liang Dynasty. He wished only to get permission to spread the word of Buddha throughout the land. Although the word of Buddha was fresh in China at this point in history, it was still quite popular and even the Emperor was an avid supporter of this "new" Religion. It was for this reason that the new Patriarch was given such a quick audience by the Emperor. Wishing to impress Bodhidharma, the Emperor started to list all the Temples he had built for Buddhism and all the other donations he had made to this righteous religion. However, Bodhidharma was not impressed and bluntly said so. Surprised by this reaction, the Emperor started to question Bodhidharma and when he asked Bodhidharma what he considered was the first law of Buddhism and was answered by a single word: "Nothing". The Emperor became angry.At this point, he demanded to know who Bodhidharma thought he was. Again, the reply he received from Bodhidharma was a one word answer: "Nobody". Frustrated but still respecting Bodhidharma's spirit and devotion, the Emperor asked the Patriarch to stay at his court and to teach him the true ways. He wished to learn the reasons to Bodhidharma'a puzzling replies. To his dismay, it turned out that Bodhidharma wished only to be left alone and indicated that he had come to the court only to seek permission to wander throughout China. The Emperor granted Bodhidharma's request to spread the word of Buddha. Therefore, this solitary monk left the court and proceeded to wander throughout the vast Chinese countryside. It was through these wanderings that many legends were told of Bodhidharma, some real and some that were just a little larger than life. One small story was concerning Bodhidharma's arrival at the Yangzi River. Being one of the largest Rivers in China, it had many ferrymen willing to take Bodhidharma across, for a small cost. Surprisingly, Bodhidharma declined all offers and proceeded to cross the mighty river upon a single reed. There were purportedly many astonished witnesses, including a government envoy who claimed that Bodhidharma stood upright on this reed as he crossed. At the end of his wanderings, Bodhidharma came upon a Temple located in the Honan Province of Central China. This established Temple was known as "Songshan Shaolin Szu" or "Central Mountain Small Forest Temple". Bodhidharma asked the Abbott of this Temple for permission to stay and rest for a short time. The Shaolin Temple itself was built in 495 A.D. at the foot of a mountain, which was situated at the mid point of a number of major mountain ranges, hence its name. It was because of the topographical geography of this area, that this particular location was considered auspicious. A second and more important reason for the Temple being constructed was due to the then Emperor of China wanting to built a place for a great Buddhist monk from India to live and spread the `word'. This great priest was named Batuo and soon turned this modest temple into one of the most important in all of China and so when Bodhidharma arrived around 520 A.D. the temple already had many disciples. It should be noted here that a second "Shaolin Temple was built in the Chinese province of Fukien, but our interest and that which relates to the development of Karate lies in the original structure, as previously described. It was at this temple that Bodhidharma was to stay for the rest of his life and in addition create a set of exercises that would eventually evolve into Karate. Bodhidharma did not simply introduce some techniques that were for the purpose of self-defense, but rather these techniques were initially to be utilized as some exercises for his followers. It seems that when Bodhidharma first came to the Shaolin Szu (Temple) he was left alone by the other Monks. He actually avoided all contact with them. He would simply sit near a wall and meditate all day. It is said that at one point, his meditations continued uninterrupted for nine years. When asked for what purpose was Bodhidharma meditating while facing the walls, he replied that he was simply "listening to the ants scream." One of the other monks was so impressed that he actually cut off one of his hands as a symbolic gesture of sympathy. Whether or not this or any of the other legends were true, Bodhidharma soon had a substantial following. It was through this form of meditation that eventually formed the basis of a new method of Religious Study. This dramatically different type of worshipping was known as Chan or Zen Buddhism. Zen Buddhism became a religion in which the novice seeks inner peace or self-enlightenment through the simple method of meditation. (Of course this is a simplistic way of looking at Zen Buddhism, yet many volumes are required to justifiably explain the true purpose of this religion). Unfortunately for the Monks, this constant meditation was a little too strenuous for them. The long hours of meditation caused a major portion of the monks to fall asleep. Bodhidharma quickly noticed that most of the monks were very frail and did almost no exercise other than walking to and from the meditation halls. It was here where Bodhidharma decided that the use of the art he had learned as a youth back in India, would be beneficial. In order to get the monks physically fit, Bodhidharma taught them some Kalaripayit techniques. Along with these martial art exercises, he also worked the monks hard in the fields. Eventually, the monks became excellent farmers and surprisingly fine martial artists. The techniques taught to the novice monks, over the years became known as the "Eighteen Movements." These movements were of a military nature and stressed a high mental, as well as physical performance. Living in the time of the Liang Dynasty was hazardous at the best of times. The central government was only strong around the major cities and as such, there were many thieves and highway robbers who picked on any innocent traveler or peasant. The exercises that Bodhidharma taught allowed the monks to complete their meditations, to become physically fit, and had actually enabled them to defend themselves against those individuals trying to enrich themselves by attacking Temples and monks. Eventually the criminals, who were able to escape with their lives, spread the fame and prestige of the Shaolin Priests. While there is still much speculation to the existence of Bodhidharma, there does exist a literary work by a citizen of Lo-yang (modern Honan) who describes an encounter he had with a monk named Bodhidharma. There are some distortions involved with his conversations with Bodhidharma, which in turns raises some question to its authenticity or at the very least its accuracy. Unfortunately there is almost no mention of Bodhidharma for over four hundred years after this one record. There is some speculation to why there was no mention of this priest and it involves an age old confrontation of new religion versus old religion. Zen, when initially introduced was dramatically different from what was the major philosophies of the day, as such those few who adhered to its concepts would have, no doubt been persecuted. It would have been a few hundred years before this radical philosophy could attain the following to become accepted. It must be remember that most of the religions of the time of Bodhidharma had elaborate ceremonies and devoted much of their time to the reading of complicated scriptures. Zen, on the other hand was a simple philosophy to be enjoyed by all and would have alienated a few intellectuals at first. We will describe Zen in more detail in a later chapter, but we can at least see that even if there is very little written of Bodhidharma at the time of his stay at the Shaolin Temple, this does not necessarily prove that he did not exist. We must again reiterate that any records of Bodhidharma if they did exist were destroyed either in the first destruction of the temple in the mid seventeenth Century or in the last great fire within the temple in 1928. This unfortunately eliminates any real proof to which we can turn to for securing the true position of Bodhidharma as the Patriarch of Zen. While the existence of martial arts prior to the Shaolin Temple is not argued, it is believed that it was Bodhidharma that initially promoted this form of fighting as a spiritual development. Prior to this radical philosophy, most who learned any form of martial art did so for fighting purposes only and were fond of fighting any one, for any reason. It is also believed that as well as introducing the concept of Zen and spiritual development (through martial arts training) to the Shaolin Temple, Bodhidharma had introduced one of the earliest uses of the individual inner force. This internal energy became known as Chi (Ki in Japanese). This Ki was useful to the trainee both in their martial training as well as to help the monks discipline themselves to the point of ascertaining the true meaning of Zen. The Shaolin Temple prospered for many more years as did the exercises that Bodhidharma introduced. Even after the death of Bodhidharma, the art matured and continued to grow and many new disciples entered this monastery to learn both the Art and the teachings of Zen. It was from these simple roots that Karate-do eventually evolved. Bodhidharma taught the monks of Shaolin two methods of training that also can be found in today’s Karate Training. The first method was called Yi Jing Jin (or "Ekkinkyo" in Japanese) which stresses a series of exercises and breathing techniques which evolved into the eighteen movements. The second method was called Yi Shui Jin (or "Senzuikyo in Japanese) which was an exercise for the monks to help them develop their mental and spiritual strengths. Both methods were taught for the sole purpose of enabling the monks to accomplish the long periods of meditation and other duties assigned to them by Bodhidharma. Karate-do that is taught today has the same influences that were initially taught to the monks of the Shaolin Temple over 1500 years ago. Even though many other great individuals improved and developed the Art of Karate to what it has become today, it was the genius of Bodhidharma that initially provided the Spirit of the Art. Bodhidharma was part myth, part legend, part fact, but the spirit of this priest still lives in every martial art school that stresses the total development of an individual. Bodhidharma is just one more individual that has become part of the time honored tradition of today's Karate Training. Our personal striving for perfection in Karate-do is an ideal that was originally put forth by Bodhidharma, and recognition of this fact is now slowly being acknowledged by Martial Artists everywhere. We can see now that no matter what the style of Karate that an individual trains at, his or her efforts have over 15 centuries of tradition behind them. At the height of the temple's prosperity, many years after the death of Bodhidharma, the complex housed around 1500 monks. This contingent of priests also included more than 500 fighting monks. It was due to the legacy of Bodhidharma which convinced many students over the years to travel to the Shaolin Temple either to learn about Buddhism and meditation or just for the Martial Arts training. Some who trained elsewhere also came to the Shaolin Temple for it was still known as the origin of Kung-Fu or as it is more correctly known - Chuan-Fa. One of these "martial art monks" actually developed the art ten fold when he became the head of the temple. This priest named Cheuh Yuan, with the assistance of another Chuan-Fa expert, expanded the original sets which were being learned by the novices, into various sets which were all divided into five separate animal groups. The five in question were the Tiger, Dragon, Leopard, Crane and Snake. Each set within one of these groups contained techniques which resembled the movements of that particular animal. Shaolin Temple was recognized and respected everywhere he went throughout China. When the Emperor heard of the effectiveness of the fighting force of this temple he actually hired the temple to help put down a rebellion. Unfortunately, this proficiency was also the reason for the temple's downfall. The new Emperor in Peking saw them as a threat to his government and so in 1674 ordered his troops to storm the temple and burn it down, along with its inhabitants. Again the government forces underestimated the fighting force that was gathered at the temple and it was only because of a traitor inside the temple, which finally allowed the victory of the government troops. The fighting was fierce and many died with only five of the priests escaping with their lives. These five were some of the finest instructors in the martial arts section of the temple and it was this talent and skill that allowed them to escape the destruction. The five masters became known as the "Five Ancestors" and they spread throughout China to pass on the knowledge which they possessed. All five had separate styles of the exercises that they were taught, but all had the same Zen Buddhist background training. The first thing that these monks did was to organize the people who wished to overthrow the new tyrannical government that now sat in Peking. These "societies" utilized the martial art training to prepare themselves to fight against governmental troops. These societies became very powerful and in turn the style of training each society possessed eventually spread throughout Asia. Soon many had trained in this new self-defense but unfortunately many did not just use their training skills for purely self-defense purposes and in this way the art also spread. One avenue that this art took in expanding throughout Asia was the way of the military. The Military immediately saw the potential for this defensive form of unarmed (hand to hand) combat. These forms of exercises became an essential part of a Warrior's training. The military avenue also included the navy and of these Asian countries, there were many sailors who also had some training (or experience) in the martial arts (chuan-fa). It was from these sources that the martial art of chuan-fa was eventually found its way to the island of Okinawa. It was here where karate was to eventually develop to what it is today. buddhism and jainism is a branch of hinduism not the other way round. stop pondering about this and get on with life doing good.the reason why hinduism flourished further was because of Athi Shankarar. Superb!!! .. really hats off to MURUGADAS. We missed thamu now. tamilan always doing great ..
Im so proud to be a tamizan.plz everyone should know this history of bhodi darman.And try to translate dis movie to all language in world.And we should induce our hiding great qualities and explore it..so make TAMILANS are always great and powerfull.. Probably Bodhidharman was never a buddhist or never preached buddhist. He preached the teachings of siddhars of the tamils and associated that to buddha known to chinese. Itzz realy interesting 2 study bout an indian great master BODHIDARMA.........I am proud 2 begin indian in this world.........THANK YOU GOD!!!! Proud to be an INDIAN and respect the old traditional and arts "southern-style "Kalaripayit". this is a stupid article i have great respect for lord buddha and buddhism evolved from hinduism. buddha was born a hindu. both are great religions. i love them both. Proud to be tamilan,luckily director murugadas show us the history of india. The message of this movie is to find love and find out who you are its key to success! We all are talented and skilled people, some people don't see that, we are all equal, we should all respect each other, say thanks to god everyday and to put god first in everything we do and to stay humble and do hard, may your dreams come true. Everying we think become things. God Bless y'll.